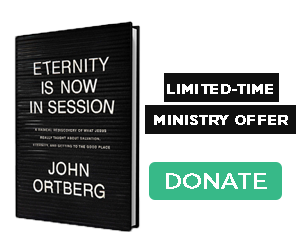 As you have been watching, hearing and reading for some time now, Crossroads is in an exciting time of change and renewal. The impact of our life-changing media mission is larger than ever and the number of people turning to Jesus through Crossroads' missions is growing significantly. But there’s a world full of hurting people, of all ages and stages, who need the life-changing hope that only God can provide. So, we’re working hard to find ways to reach and share the Good News with new audiences— the growing group of people who no longer watch traditionally scheduled TV, but who prefer to use their phones and computers to watch their favourite programmes—whenever and wherever they choose. 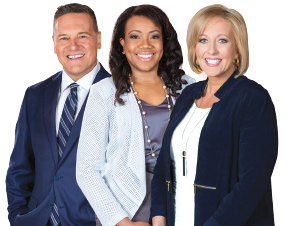 100 Huntley Street is already airing several times a day on our own YesTV station, which is currently available to 6.8 million (and growing) homes across Canada. We’ve decided to redirect financial resources from our Global TV broadcast. As of January 1, 2019, we will be directing our efforts on reaching new viewers where they are— online. We are excited to announce that from December, 100 Huntley Street will expand digitally on Castle—Crossroads’ NEW streaming platform— Castle features all of our ministry programs, as well as a powerful prayer chat ministry, a communication method preferred by today’s youth. We’re preparing a whole new team of “Digital Pastors” to have on-going chat conversations leading to Jesus. Thank you for your continued partnership. It is our hope that this strategic advancement will help us effectively reach more people of all ages. 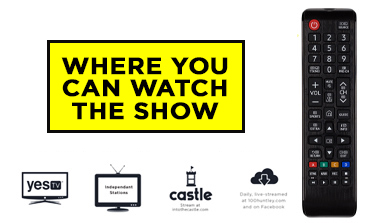 If you are unaware what TV station is available in your area to view the program, enter your postal code in the tune-in widget above, or if you have questions call us at 1-800-265-3100 and we’ll help you find the right channel for your area.